Ok, so I am not a vegetarian or vegan, even though the idea has crossed my mind. However, I do have friends who are vegetarian and I see how frustrating it can be when we go out for dinner and there is only one vegetarian or vegan option on the menu. I believe in the beauty of having choices, especially when it comes down to food, so in honor of my vegetarian/vegan friends I asked around to find out what are some of the restaurants locals prefer when it comes down to vegetarian and/or vegan gastronomy. My vegetarian and vegan friends, this blog is for you. Keep in mind that besides all the vegan/vegetarian choices mentioned below, San Diego also has many veg-friendly restaurants that offer varied options and substitutions. 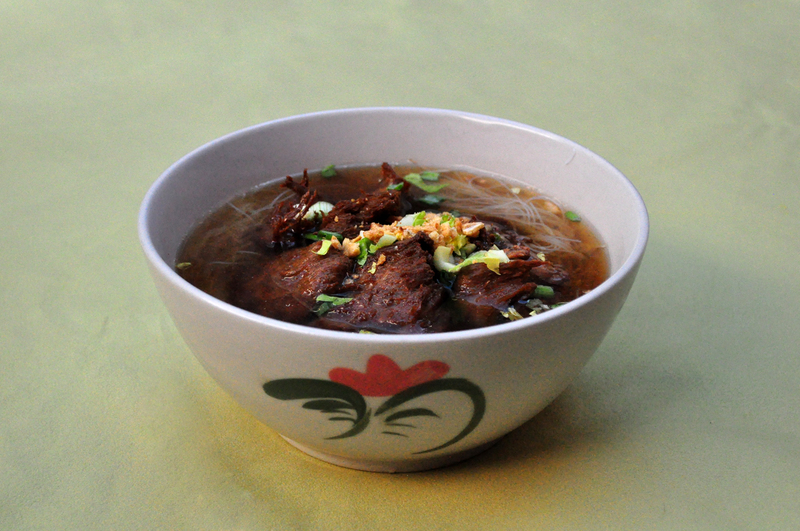 Find comfort with a ‘duck’ spicy noodle soup. Don’t worry the duck is vegetarian and gluten-free. Located in University Heights, this popular small Thai food restaurant offers vegan and vegetarian food options free of fish sauces and animal products with the exception of optional egg in some dishes. Also, they use only organic and gluten-free tofu and soy milk. Among the favorite dishes you can find the flower cups with tofu, onions, peas and carrots served in small crispy flower cups and the duck spicy noodle soup with rice noodles and vegetables in a chili garlic sauce. 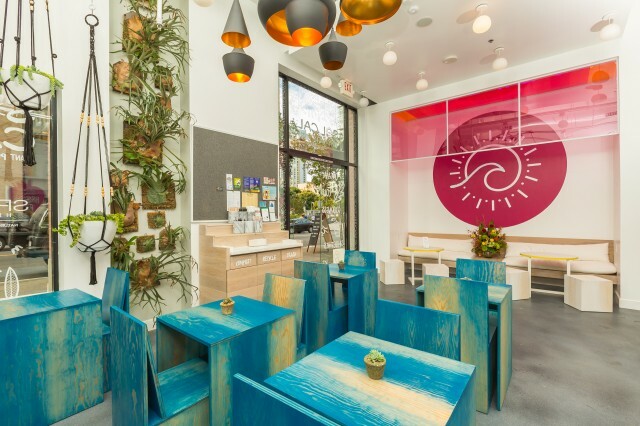 Ride the healthy wave at SOL CAL Cafe in the East Village. SOL CAL Café opened its door this past October in the East Village. The plant market café and juicery houses a naturopathic doctor’s office with holistic healing treatments. Seekers of GMO-free, dairy-free and gluten-free foods can find cold-pressed organic juices, organic coffee, teas, salads, sandwiches, soups, tacos, wraps, vegan ice cream and desserts. The café is a creation of former NFL player Jacob Bell and Food Network’s chef, Anne Thornton. 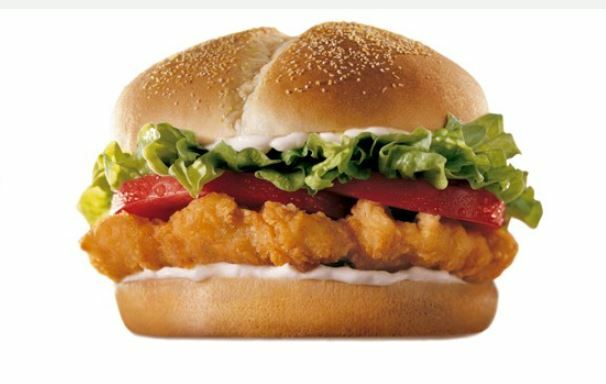 A chick’n sandwich that tastes like chicken but it’s not chicken. Here is proof that fast food can be healthy, Evolution offers a selection of vegan burgers with a choice of gluten-free and soy free patties. Sweet potato fries, sandwiches and wraps can also be ordered at their convenient drive-thru. The vegan fast food joint commits on offering a menu without animal ingredients, refined sweeteners, hi-fructose corn syrup, hydrogenated oils and artificial additives. 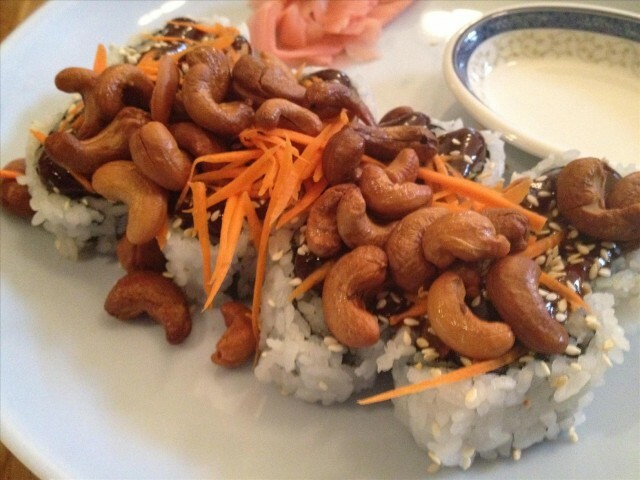 Try the BBQ Fuzion Roll with avocado, cucumber, onion tempura, and “chicken” covered by cashews, carrots and BBQ sauce. At Sipz fusion is their game, offering a variety of Vietnamese, Thai, Chinese and Japanese dishes. The restaurant started out as a small coffee and boba tea shop and has now two locations in San Diego. From noodle bowls to sushi, to curry and desserts, you will be able to find a wide variety of vegetarian and vegan dishes. Be neat and don’t eat meat, the Neatloaf has been a favorite since their opening in 1986. Besides satisfying your palate, food can also satisfy your spirit. The Normal Heights all-vegetarian restaurant is owned and operated by students of Indian spiritual master Sri Chinmoy, who promote inner peace and a meditative lifestyle. The “Neatloaf,” a brown rice/tofu baked dish topped by a tangy tomato-based sauce, is the most popular item on a menu filled with healthy, simple, classic dishes. Feeling lucky? 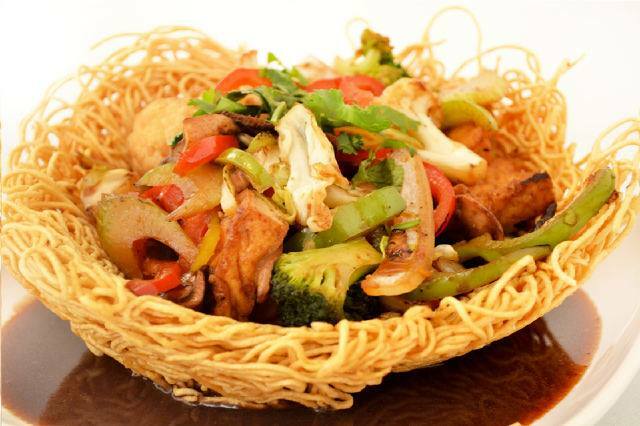 try the lucky chowmein with stir fried yellow noodles, vegetables, soy protein, tofu and vegetarian mushroom sauce. Loving Hut is a worldwide vegan fast food chain that has found its way into San Diego with a location in North Park and Mira Mesa. Their varied menu offers a wide selection of Asian and Western vegan dishes. Some of the favorites include the Spicy Cha Cha, a soy sea nugget dish, and the lucky chowmein seen in the picture above. This entry was posted in Culinary and tagged downtown, hillcrest and uptown, north county inland by Edna Gutierrez. Bookmark the permalink. Thank you! As a vegetarian who is also celiac I really appreciate this information.